No book talk this evening but something to help me get into the Christmas spirit. I borrowed this meme from SciFiChick and I know Kaliana and Nessie have also completed it. Anyone else? Colored lights on the tree but not outdoor decorations. We haven’t put up a tree in the past four years. I just haven’t really been in the mood. This year though we will have a tree and hopefully I’ll do that this weekend. Tamales, especially the sugar kind. Every Christmas was great when I was growing up. It was the time when all of my family (who lives in Mexico) was together again. My parents and I would drive from Dallas to Monterrey with a car full of presents. In the past few years all sorts of things have happened preventing my family from being all together, hence why I probably haven’t felt the Christmas spirit in a while. I think it’s time to make some new memories and traditions. I was six when I found a stash of presents hidden in my mom’s sewing room. I just “knew” then. Lots of random ornaments. 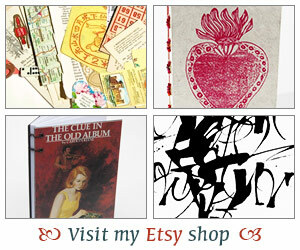 Old, new, kitschy, handmade, etc. It’s pretty but living in Dallas it’s not a good thing. No one knows how to drive in that stuff. No. I’ve never even tried it. Anything Barbie. I was such a girly-girl. I’m supposed to say giving right? Ha,ha. I do love to buy gifts but I admit it, I love opening presents too. I don’t care what it is, just opening a present is fun.